If perfect sear marks are a badge of honor, the Napoleon Rogue 425 Natural Gas Grill in Black is the grill for you. Get grilling faster with a grill designed to cut assembly in half. Sleek porcelainized black lid and door with integrated storage compliment your landscaping. Locking casters allow you to roll the Rogue right into the middle of the action. Folding, stainless steel side shelves free up more space for this grill to tailor itself to your backyard space. Be different, grill different. Go Rogue. Make marvelous meals for yourself or a crowd while you cook on 425 square inches of main grilling area. 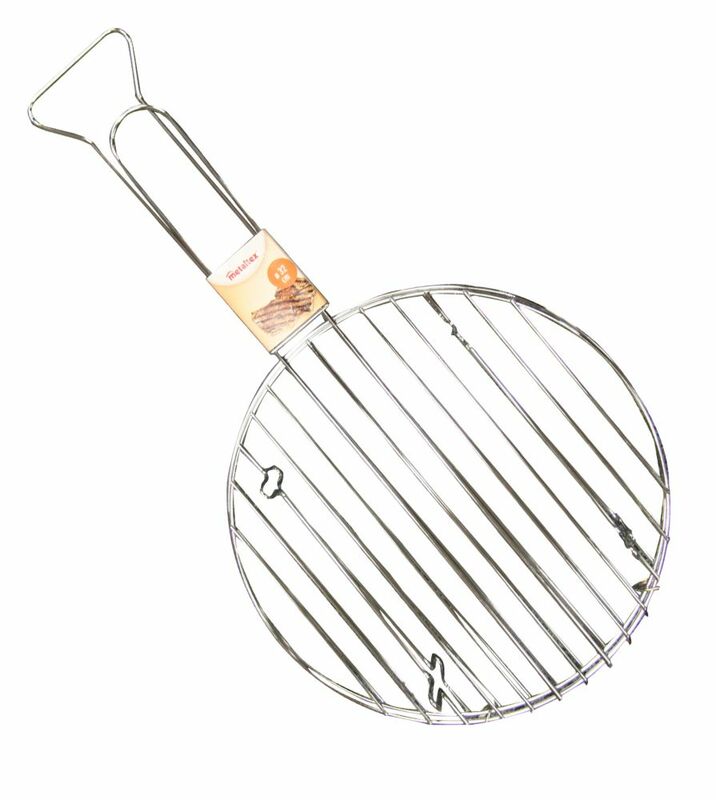 You'll know it's a Napoleon with the iconic WAVE cooking grids for those distinctive sear marks. Three stainless steel burners provide 36,000 BTU's of heat precisely where it's needed. Dual level stainless steel sear plates vaporize the drippings creating intense flavor while you grill. Your friends and family with think you are a culinary genius. Pantera 2.0 portable grill, die cast aluminum lid, two removeable side shelves for easy stow and transport, large easy to use control knobs, for use with 1 pound LP cylinder, 1.0mm 304 stainless steel burner and heat tent, Seamless porcelain enamel cast iron cooking grates, Chrome plated warming rack, 345 square inch cooking area, Electronic push button ignition, (2) 6,500 BTU infinitely adjustable burners, Disposable aluminum grease tray liner, Glow in the dark thermometer. Bigger, hotter, heavier: Pit Boss is proud to present the all-new PB4GRT. The PB4GRT is the first of our Gas Line Series and is dressed in a stunning 430 stainless steel exterior. Offering 578 sq. inches of two-tiered cooking surface, the PB4GRT is perfect for any middle-sized family. The PB4GRT is fueled by propane, featuring four main burners and a side burner for an impressive total of 61,500 BTU. Sear your favorite steaks, toast a loaf of garlic bread on the upper rack, or pan-fry vegetables on the side burner: the PB4GRT is a one-stop outdoor kitchen designed for all of your grilling needs. Complete with 201 stainless steel grid construction and full stainless steel cabinet enclosure, this grill is dressed to impress. Other features include an electronic igniter, precise controls, swivelling wheels and built-in heat indicator. Grilling has never been this easy. Be the boss of the backyard with Pit Boss Grills. Chrome Plated Round Meat Grill 32CM The Metaltex assortment focused on the basic utensils that cannot miss in big kitchens when time, quality and presentation becomes an essential goal. Strainers, whisks, skimmers, forks and grills in different sizes and materials (stainless steel or tinned) represent our offer. The Metaltex guarantee - Over 60 years of experience in production of utensils. Metaltex are professional kitchen utensils.